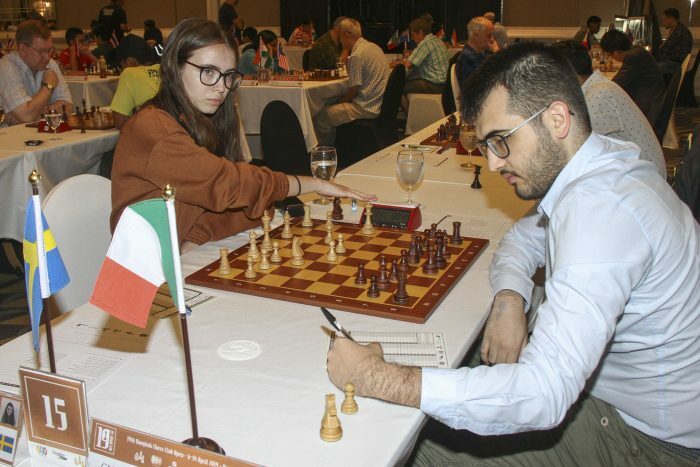 Nigel Short and Jan Gustafsson discovered the joys of Thailand’s famous Songkran Festival on Thursday at the Bangkok Chess Club Open. 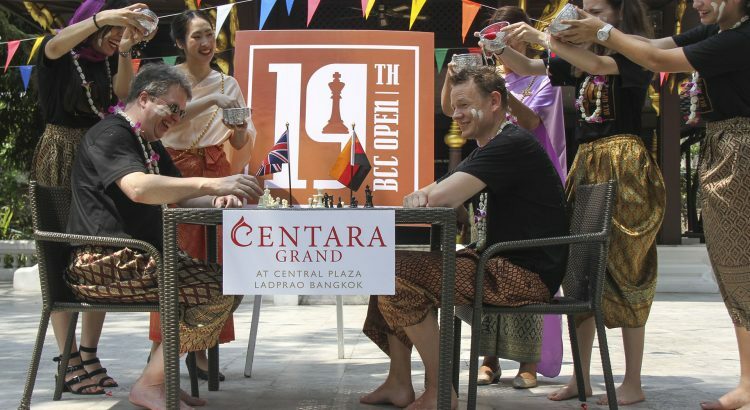 On the first day of Songkran in Bangkok, Short and Gustafsson were asked by organisers to preview their game by sitting for a photo shoot in local costume in the gardens of the Centara Grand Hotel in Ladprao. 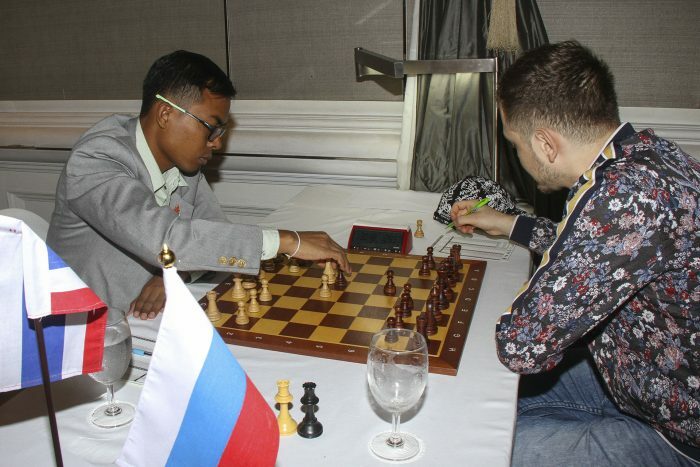 However following Songkran tradition, the players were sprinkled with water and then covered in water by the spectators, which appeared to surprise both players and upset Short. 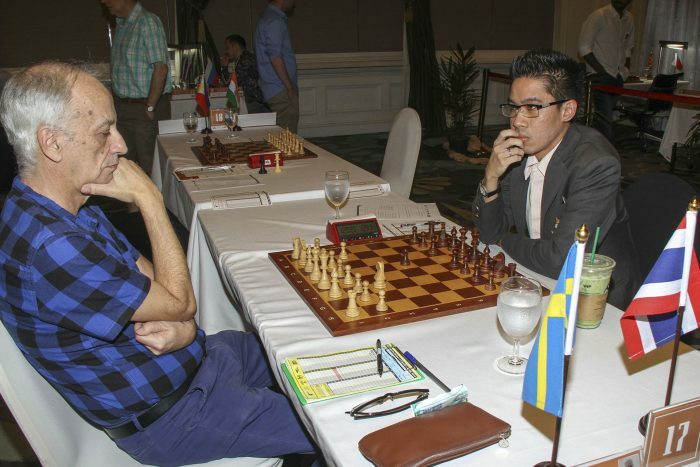 The Englishman then had revenge on his tormentors by pouring water on as many as possible – a perfectly acceptable reaction during Songkran. 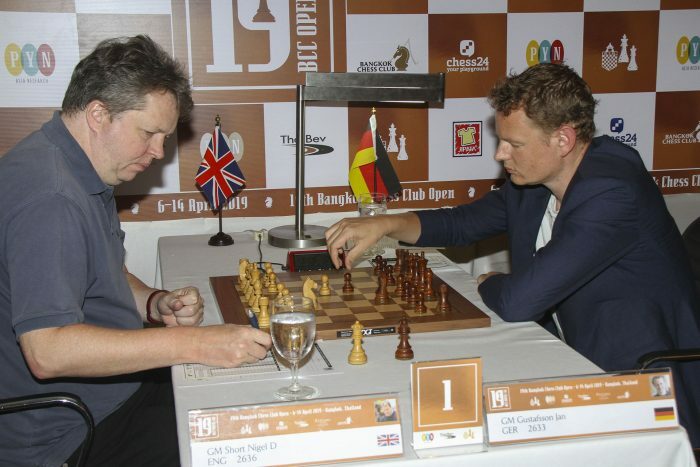 Short, who as a young man played guitar in a band he described as “very, very bad”, then faced the music against Gustafsson in their real seventh round encounter on first board in the Centara Grand ballroom, and was allowed to sacrifice a knight and a rook before the players agreed to a draw by perpetual check. 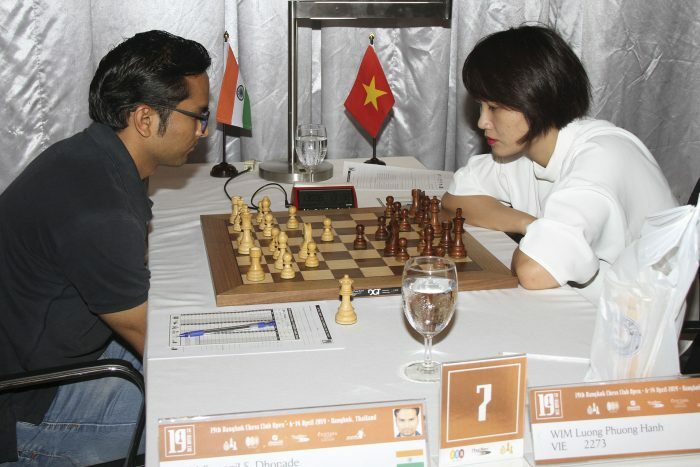 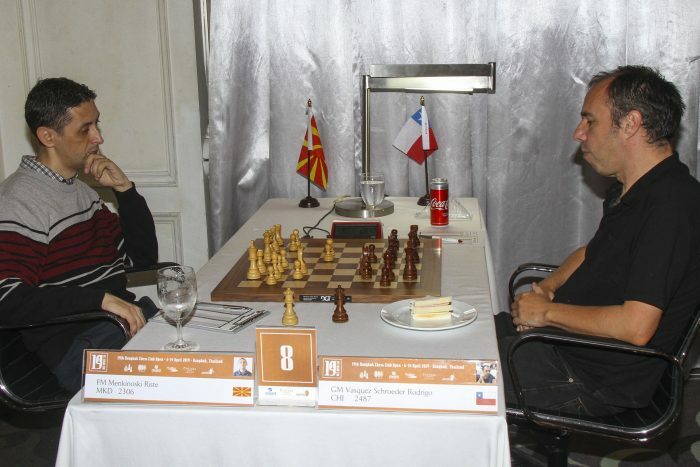 The draw between the two leaders allowed Vietnamese International Master The Anh Duong to join them on six points from seven games by defeating Australian Grandmaster Zhao Zong Yuan. 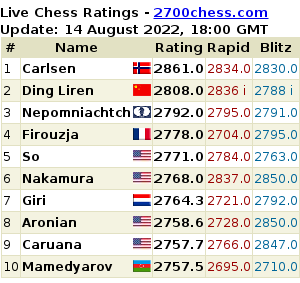 Duong, 32, defeated his second Grandmaster in a row and has now won more games than any other player in the tournament. 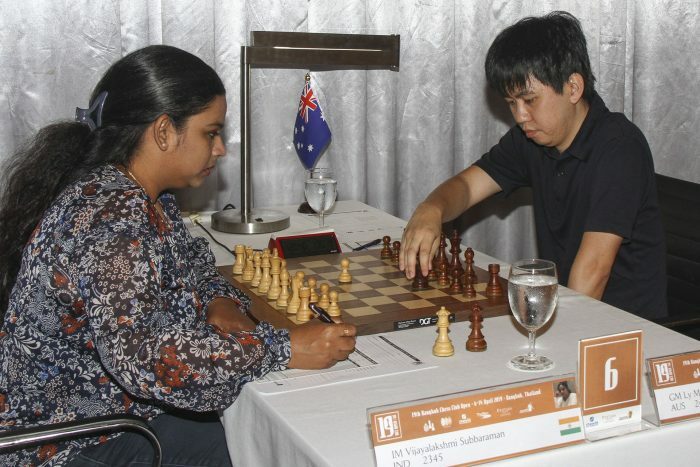 A new Thai chess talent became visible today when our own Prin Laohawirapap defeated Australian FIDE Master Tim Reilly. 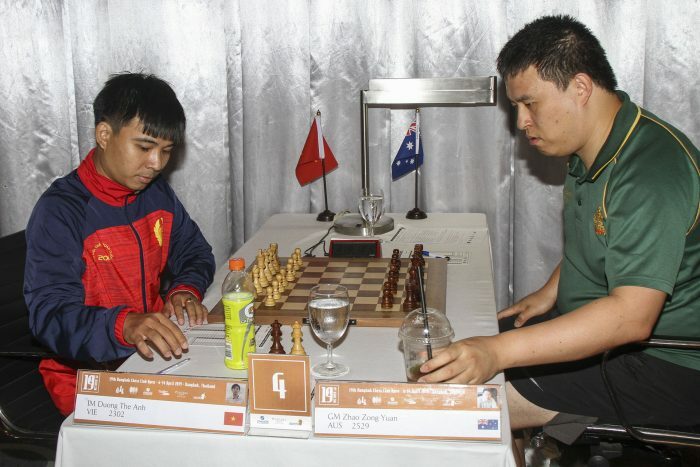 Laohawirapap, 12, who was one of the youngest members of Bangkok Chess Club when he first appeared, has reached four points from seven games, just two points behind Short. 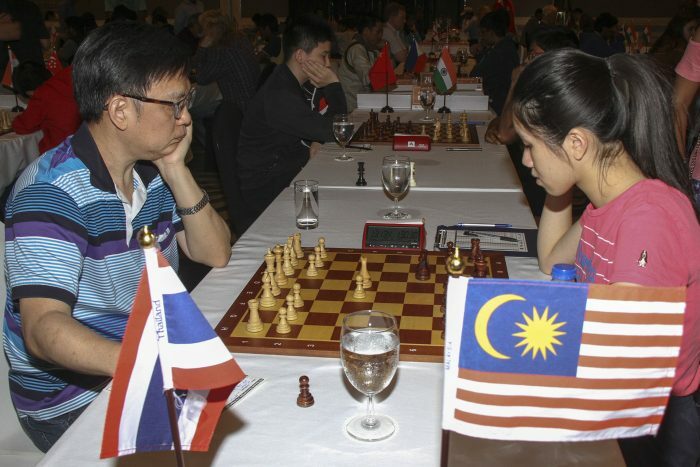 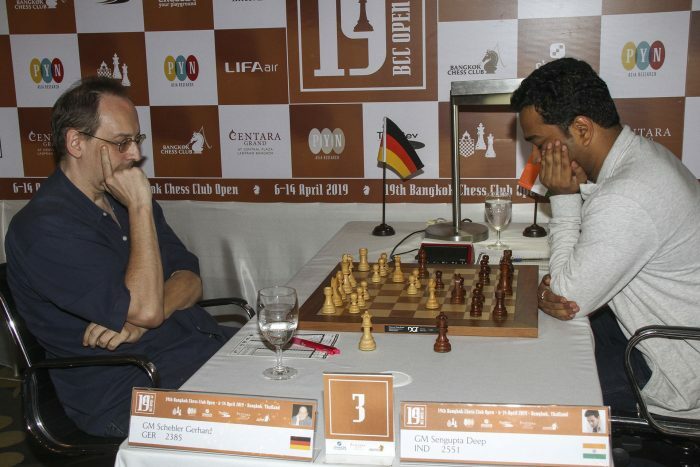 Round 8 of the Bangkok Chess Club Open begins on Friday at 2.00pm and will be broadcast live on Chess24.com.